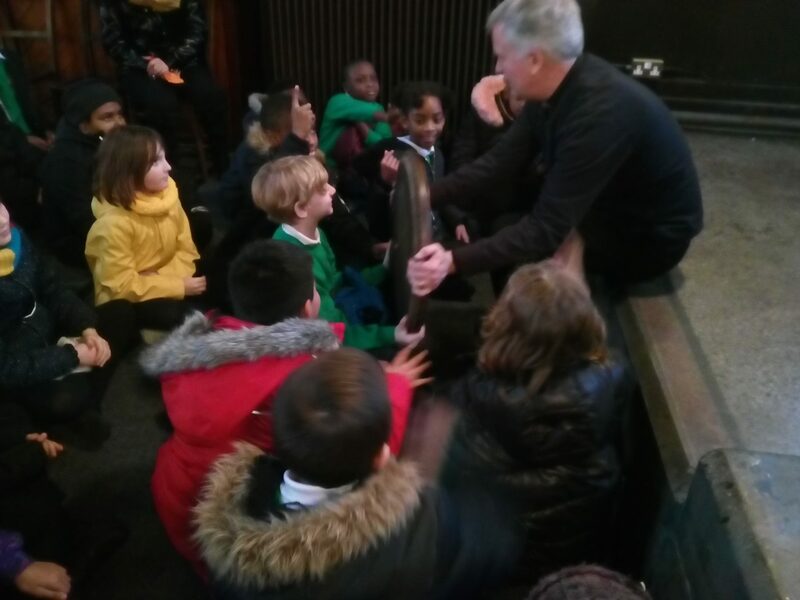 Year 4 went to visit St John of Jerusalem Church in Hackney where they were kindly greeted by Reverend Andrew Wilson. Currently in their Religious Education studies, Year 4 are learning about the faith of Christianity and in particular the act of baptism. Therefore during the trip, the children benefited greatly from the Reverend’s reenactment of a Christian baptism, in addition to hearing more about where the origins of Christian baptism come from. 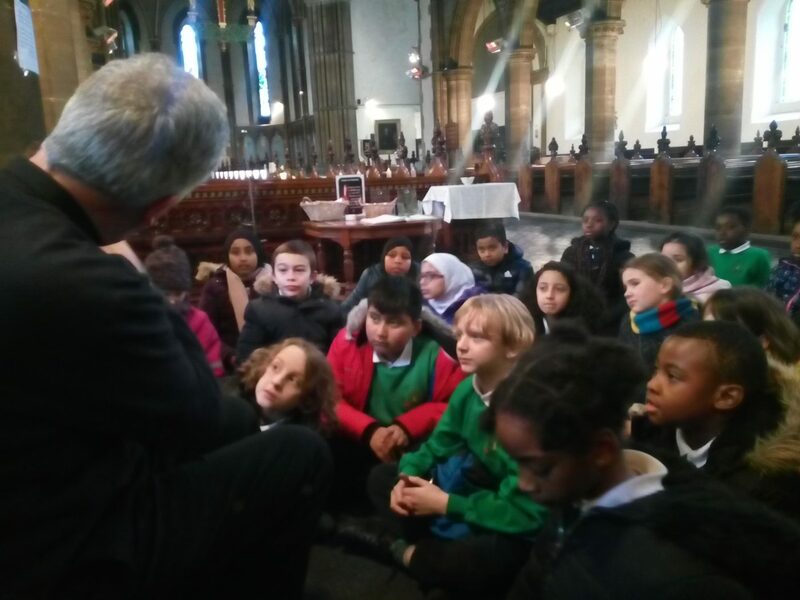 The children thoroughly enjoyed extending their learning on this subject, as well as having a short tour of the church building itself.